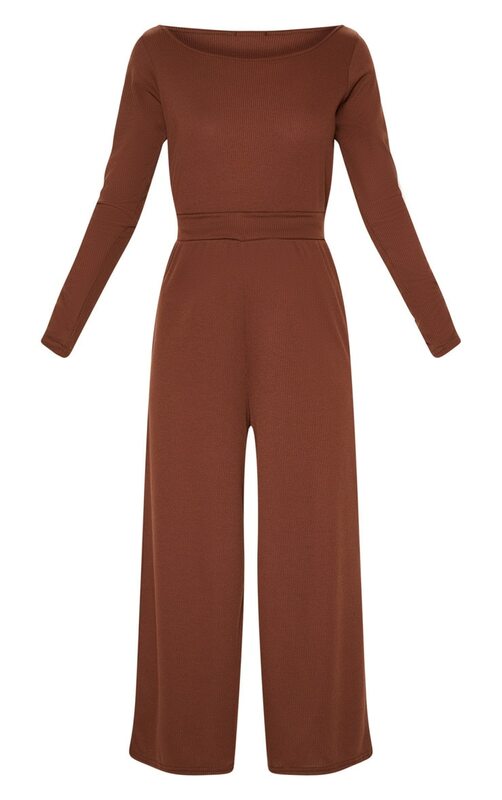 Jumpsuits are our favourite right now and we are loving this for a night out with your besties. 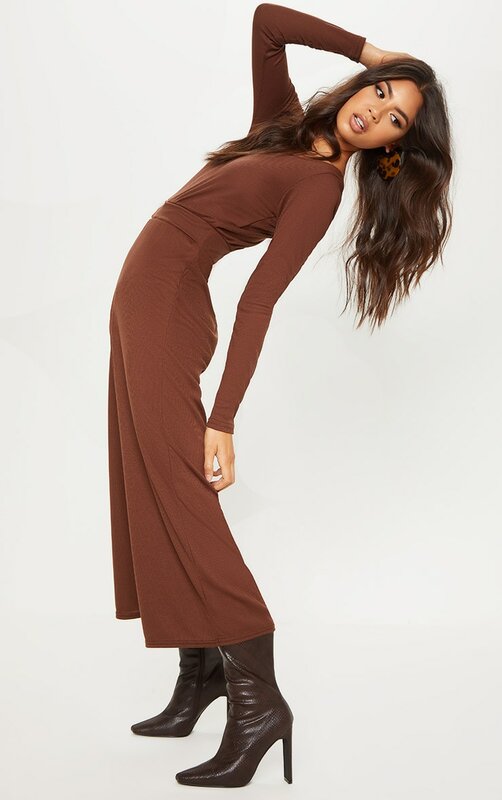 Featuring a chocolate ribbed material with an off the shoulder design and culotte length, you can't go wrong. Team with chunky boots and statement accessories for a look we're loving.